A gray wolf crosses Swan Lake Flat in Yellowstone National Park. This year marks the 20th anniversary of the reintroduction of wolves to the northern Rockies—one of the greatest achievements of the Endangered Species Act. But today, Congress is threatening the future of wolves and other endangered species through efforts to weaken the Endangered Species Act, one of the most successful laws of the land. Earthjustice was born in the same era as the Endangered Species Act. We’ve been at the forefront of efforts to make sure that this critical statute is enforced and allowed to realize its visionary promise. And we've worked for decades to defend the Endangered Species Act itself. The conversation was moderated by Minna Jung, Vice President of Communications. Recorded on September 24, 2015. Minna Jung: Hello everyone. Thank you so much for joining us today for this Earthjustice member teleconference. I am Minna Jung, Earthjustice’s Vice President of Communications, and I am delighted that all of you could be here today to talk about the work Earthjustice does on the Endangered Species Act and wolves. You’ll be hearing from Tim Preso, managing attorney of the Northern Rockies regional office in Bozeman, Montana. And we will also hear from Marjorie Mulhall, legislative counsel in our D.C. office. A wolf in Yellowstone National Park. The focus of today’s teleconference will be about Earthjustice work to protect the Endangered Species Act through the lens of how we use it to protect wolves, particularly in the Northern Rockies. Both wolves and the Act as a whole are facing serious threats on the ground and also on Capitol Hill. Marjorie and Tim will share the latest news about what Earthjustice is doing to make sure the Act—and wolves that depend on it—remain protected. Tim, you’ve been leading Earthjustice’s fight to protect wolves for several years now. Talk about what makes wolves a great example of the importance of the Endangered Species Act. Tim Preso: Here in the Northern Rockies region we have the privilege of working on behalf of a number of wildlife species, ranging from grizzly bears to cutthroat trout. But there is something that’s special and unique about wolves. And I think that has to do with wolves are not only a beautiful and important species, but they also are a symbol in our society—and, that's frequently, a very different symbol to different types of people, with different views. Wolves as a member of the ecological community is a very interesting thing in its own right. There’ve been a lot of biological studies of the role wolves play in ecosystems. But when we deal with wolf issues, we are dealing with so much more than that. One of the giants of environmentalism, Aldo Leopold, wrote about the "fierce green fire" he saw in a wolf’s eyes. I think what he was really talking about is wildness. For many people, the wolf is a symbol of wildness in our remaining wilderness. And for that reason, wolves are especially beloved by many people—they capture so much about the wild spirit that still is attractive to us. Despite our heavily developed and urbanized society, we still are attracted to that element of the wild that’s been with us through the millennia. But for other people, wolves symbolize something else. Wolves in the Northern Rockies were reintroduced in 1995 as part of an ecological restoration program in Yellowstone National Park and Idaho's Frank Church Wilderness. And so for some people who dislike the federal government, wolves symbolize federal overreach and excess. They somehow view wolves as agents of a hostile federal government. There is also a hostile reaction to the wildness that wolves represent. There are some elements of our society whose world view or livelihood depends very much on controlling wild nature. And the wolf is an uncontrollable element on landscape. A lot of that opposition is based on a persistent mythology which we constantly battle whenever we talked about wolf issues in this region. For instance, in the ranching community, wolves are given a disproportionate amount of attention for livestock losses. There are certainly are some livestock losses attributable to wolves. But in the aggregate, it’s a drop in the bucket. For example, in a recent year, there were somewhere around 45,000 losses of livestock as a result of all causes in Wyoming. And wolves were responsible for about 1.5 percent of that. And yet wolves’ predations on livestock are in the newspapers in Wyoming—while the great number of livestock that are killed by weather or poisonous range plants and the like, get no attention from the public. Then there is the persistent mythology that exists in some elements of the hunting community. 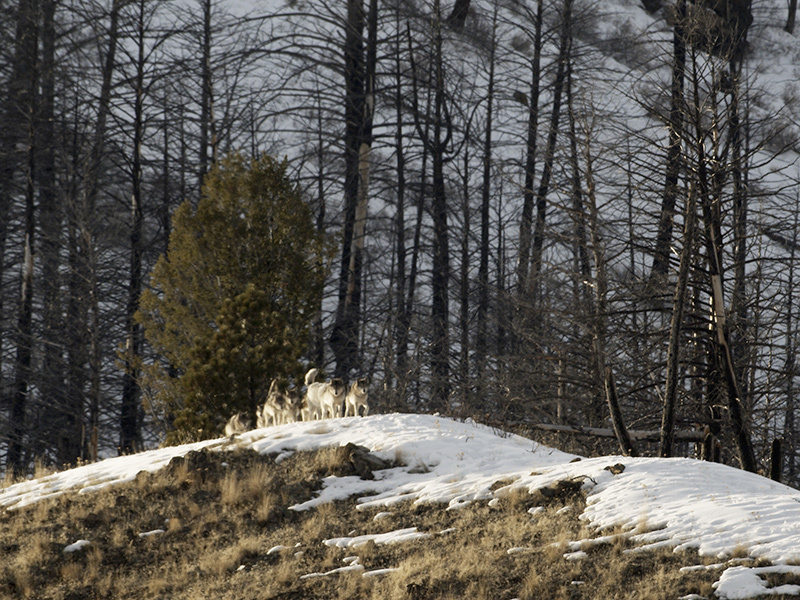 Certainly, there are many hunters who enjoy being on a landscape that has a fully intact ecosystem with wild wolves. But there are other elements of the hunting community that view our public lands and wild spaces is essentially a glorified elk farm that’s designed to produce elk for the purpose of recreational hunting. They view wolves as a competitor and are very hostile to wolves for that reason. Again, mythology underlies a lot of that more than reality. While there have been a few occurrences in specific places where elk numbers have declined as a result of wolf reintroduction, in the aggregate, elk numbers are at extremely high levels across the Northern Rockies region. There are more than 100,000 elk in Wyoming, and the state really would like to manage them more about at the level of 85,000. So they are above state management objectives. 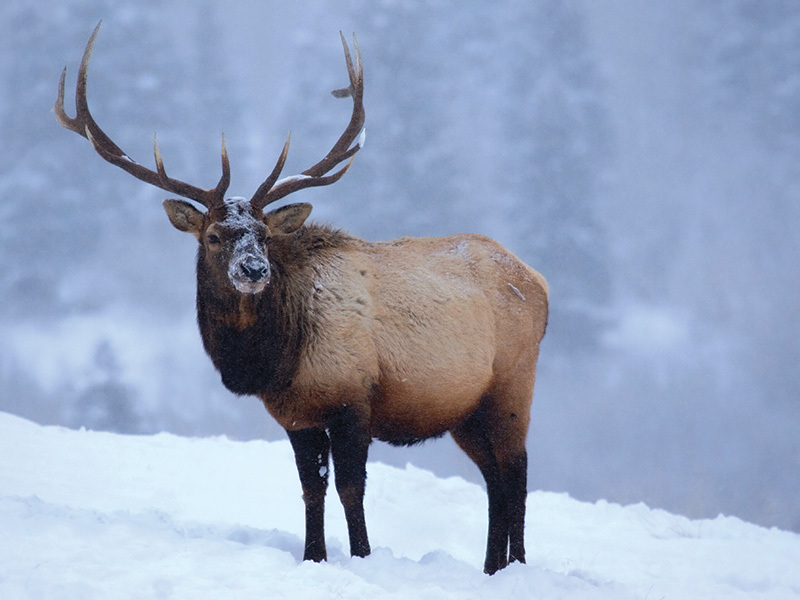 In Montana, the state is opening additional elk hunting seasons because the large numbers of elk have caused crop damages. Again, the mythology looms larger than the reality in some of the attitudes and policy decisions in the regions. 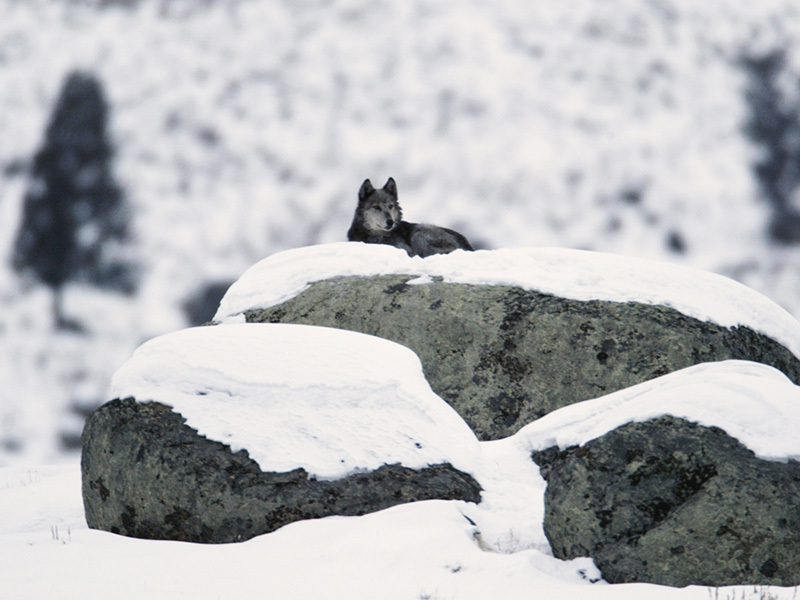 A gray wolf on glacial erratic at Yellowstone's Little America Flats, February 2, 2004. And that’s one of the great virtues of the Endangered Species Act. Congress passed the Endangered Species Act in 1973 in response to the loss of our nation’s biological heritage due to these kinds of attitudes and other factors that were one by one wiping species of the map. The Endangered Species Act is a statement of policy that says we’ll manage species based on science, not on prejudices or mythologies. It requires that species on the brink of extinction be preserved so that our children and grandchildren can enjoy the rich wildlife populations that we have today, as a result of the operation of the Endangered Species Act over the last several decades. The Endangered Species Act is a statement of policy that says we’ll manage species based on science, not on prejudices or mythologies. Fundamentally, the Endangered Species Act is designed to preserve ecosystems. The interactions of wildlife species and natural resources are key to all life and to the productivity of the natural resources of our planet. And the wolf plays a huge role in those kinds of interaction. Wolves are an apex predator, meaning they sit near the top of the food chain. As a result, their activities on the landscape are hugely influential in all kinds of ways that trickle down through the ecosystem, with major impacts. For example, when wolves were absent from Yellowstone National Park for many decades, elk populations grew to larger levels and changed their habits. Elk started congregating along the watercourses in the Park, browsing down all the streamside vegetation, essentially making it impossible for willows and aspen trees to regenerate, as their seedlings would be cropped down the moment they sprouted up. The result of which was reduction of biological diversity. Beavers virtually disappeared—completely disappearing from the northern range of the Park. Songbird numbers were reduced. When wolves returned to the Park and the natural interactions were renewed, we saw willow habitat restored along streamcourses. Aspen stands regenerated. Beavers are now back on the northern range of the Park. They create their own effect on the environment by creating wetland habitat for all kinds of amphibians, fish and migratory birds. It’s simply a much richer environment. This concept is a trophic cascade. It’s essentially the concept that the activities of a major predator, like a wolf, affect not only the immediate (they kill an elk and therefore there is one less elk), but that the series of interactions triggers a whole cascade of effects down through the ecosystem that affect the richness of the overall ecosystem. Our work here in the Northern Rockies has been to try to preserve that wildness and to restore those ecosystem functions by standing up for wolves in the face of substantial local and regional hostility. That hostility has been slowly overcome to some extent by public education and real experience. But it still exists in some places, and in significant ways, and manifesting in government policies. Right now, we are in a place where protections for wolves under the Endangered Species Act are imperiled, not just because of the attitudes that persist in some parts of our region, but by virtue of a very real political threat to the Endangered Species Act itself. There is an ongoing threat of a legislative override of some of our legal victories on behalf of wolves. And again, many of these efforts rely on mythology to justify themselves rather than the facts. We hear in the halls of Congress the idea that wolves are a threat to people and the idea that children will be attacked and killed by wolves—that’s even more farfetched than the elk and livestock issues I talked about earlier. There’s never been single recorded attack on humans by wolves in the lower-48 states and almost none at all in North America. One has a better chance of being struck by a bus many, many times over, than ever receiving any kind of an injury, much less a mortality, as a result of wolves. But the “big, bad wolf” looms large in our culture. And our adversaries are attempting to use that image to facilitate their political objectives, which really don’t have much to do with safety, but has a lot to do with catering to some of the more extreme anti-wolf segments of our society. Minna: Marjorie, you work with Congress and federal agencies to defend and strengthen the Endangered Species Act. Can you tell us a little bit about why the Act is still important? Why has it been so important for us and what are the urgent threats it faces at this very moment? An Endangered Species Act success story, the bald eagle today numbers around 10,000 pairs—recovered from a low of 417 known nesting pairs in 1963. Marjorie: Touching on some of what Tim has indicated about the overall Endangered Species Act, this is one of our strongest, most effective wildlife protection laws—and one of the strongest wildlife protection laws that exists in the world. It was passed by overwhelming bipartisan support more than 40 years ago to provide a legal safety net for wildlife, fish and plant species that are in danger of extinction. The Endangered Species Act has prevented 99 percent of the species under its care from going extinct. And in all the years since this law was enacted, it has prevented 99 percent of the species under its care from going extinct. That’s a really astonishingly great record of success. This Act has prevented the extinction not only of the gray wolf, but also the bald eagle, the American alligator, the California condor—plus thousands of other species. Despite the effectiveness of this law and overwhelming public support that it still has from the American public, some members of Congress have set out to try and roll back protections under the Endangered Species Act, largely for the benefit of their corporate special interest backers. 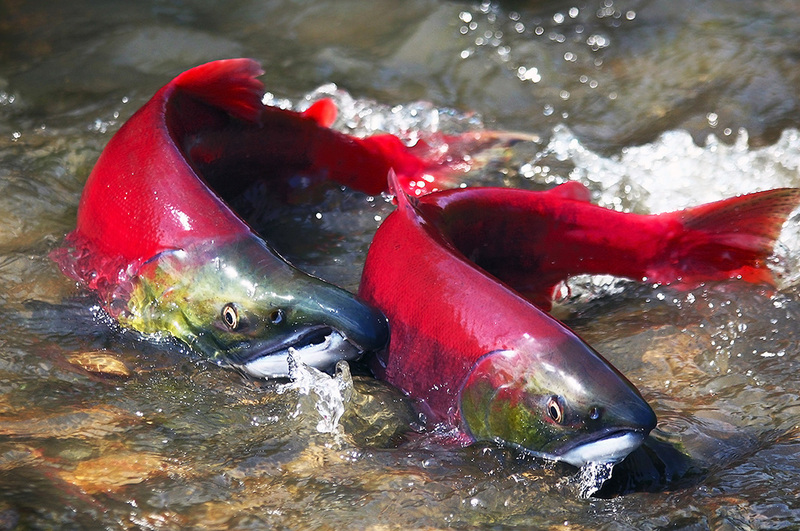 Most of the attacks we are seeing on the Endangered Species Act are coming from either actual or perceived economic challenges as a means to justify undermining or gutting our environmental safeguards. 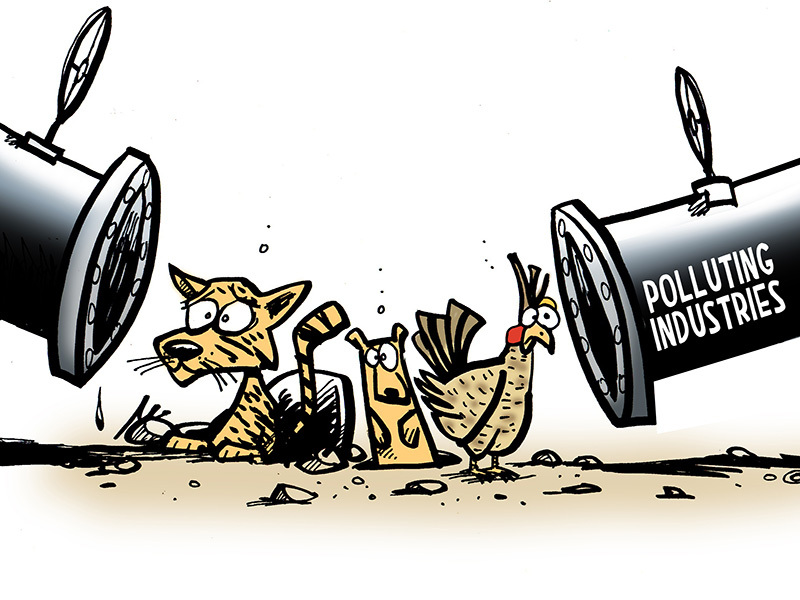 Some of the main opponents of the Endangered Species Act have included big agricultural interests, oil and gas industries, the pesticide manufacturing industry, and land developers, among others. And these industries often don’t like having to comply with the species safeguards that are built into the Endangered Species Act. They argue that species protection hurt their bottom line. But the truth is, the Endangered Species Act is a straight-forward and flexible law, and it certainly provides for economic development and growth. In the past few years, we have seen a huge uptick in the number of legislative attacks on the Endangered Species Act, including dozens of bills and amendments already offered in this Congress. All these legislative attacks fall into a few main categories. First, we have had a lot of attacks that would block federal protection for particular imperiled species. 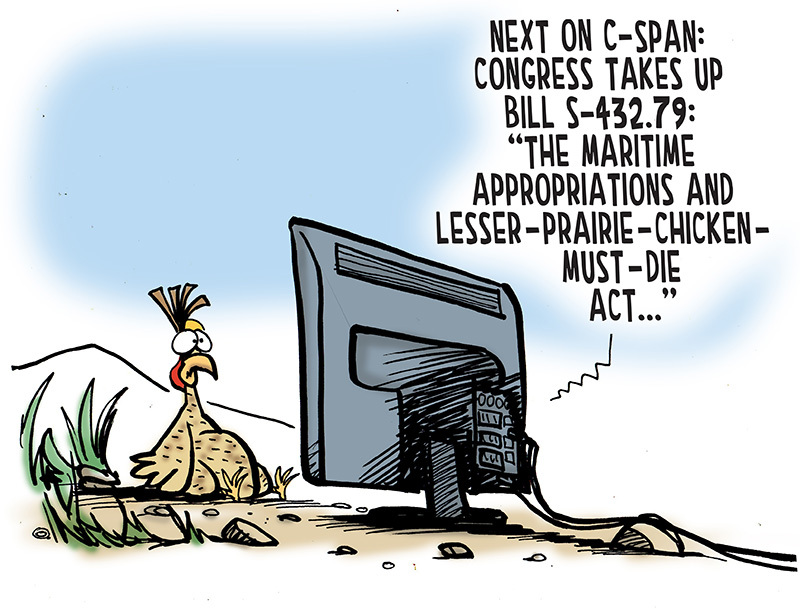 Unfortunately, back in 2011, Congress added a measure—a so-called ‘policy rider’—to a large, must-pass spending bill. And that policy rider removed Endangered Species Act protections for gray wolves in Montana and Idaho. That 2011 wolf delisting rider really set a terrible precedent in terms of Congress beginning to try and erode the Endangered Species Act, critter by critter. Thus, in this Congress, we are battling not only continued attacks on federal wolf protections, but also attacks on protections for a whole host of many other imperiled species—many of which happen to live near resources that corporate interests want to be able to develop. Second, in terms of categories of attacks on the Endangered Species Act that we have been seeing, are attacks on species protection in a particular geographical areas. For example, some members of Congress have been using the terrible drought in California and other parts of the West to try and justify weakening Endangered Species Act protections that are in place for native imperiled species. And that’s all for the benefit of some of the world’s wealthiest agri-businesses. Third, there have been attacks on key components of the Endangered Species Act. 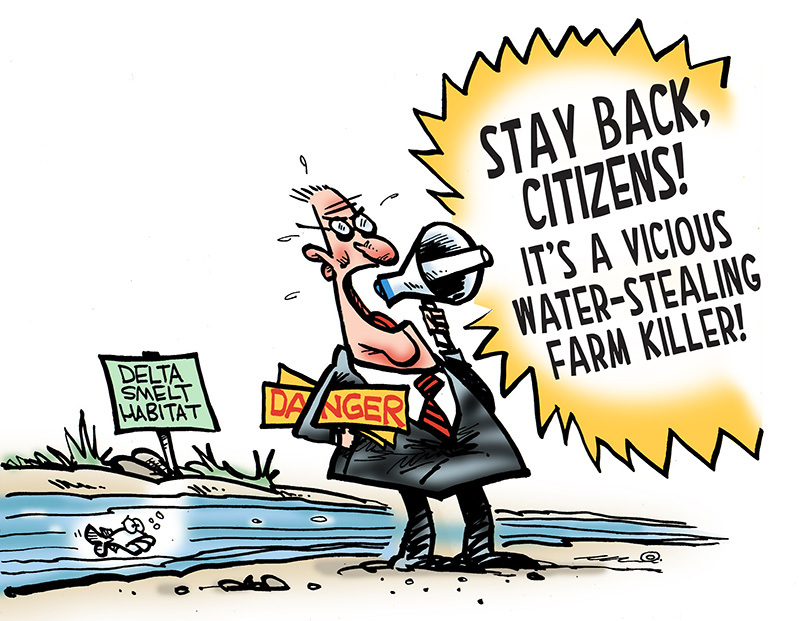 Those include the ability of citizens and organizations, such as Earthjustice, to go to court to help enforce the law. And finally, some of the bills that we’ve seen really just constitute full frontal assaults on the Endangered Species Act and would essentially gut the Act all together. All of these legislative attacks are particularly concerning given the current makeup of Congress. In the House, Representative Rob Bishop of Utah now chairs the House Natural Resources Committee—that’s the committee of jurisdiction over the Endangered Species Act. Rep. Bishop is one of the most vehemently anti-Endangered Species Act members in the House. And he has vowed to carry out so-called Endangered Species Act "reform" efforts in this Congress. In the Senate, Senator Jim Inhofe of Oklahoma is now at the helm of the Environment and Public Works Committee—that’s the committee in the Senate that has Endangered Species Act jurisdiction. Sen. Inhofe, who has one of the worst environmental voting record of any sitting senator, signaled early on that his committee would be active in efforts to weaken the Endangered Species Act. And in fact, his committee has already held a hearing to consider eight damaging bills that would undermine the essential protections of the Endangered Species Act. Senator Inhofe’s committee will be holding an Endangered Species Act focus briefing just next week. Minna: I think that for many people, the legislative process up on the Hill is a little like sausage making—very complicated and hard to understand. 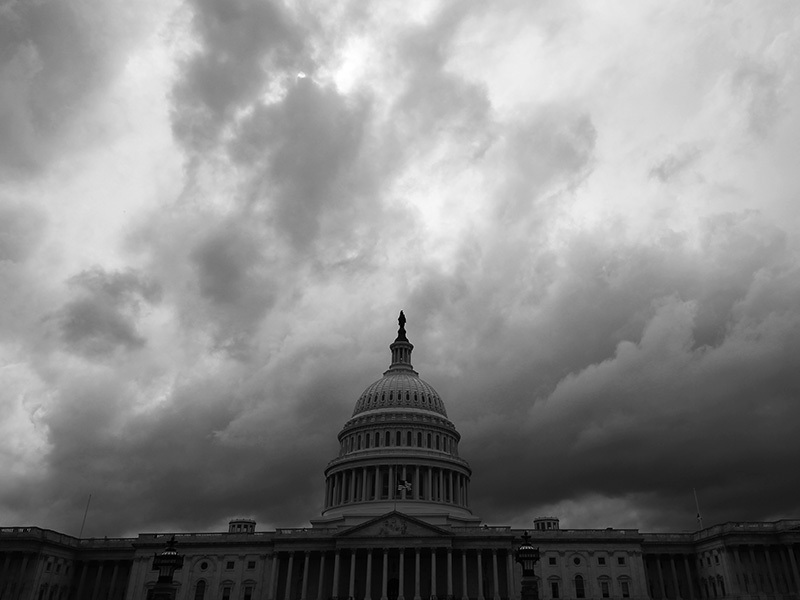 It sounds like there are numerous threats facing the Act—could you share a little bit about what you are doing on the Hill and what Earthjustice is doing to defend against these attacks? Where are our targets, what are we focusing on, and where are we seeing support? Marjorie:	You hit the nail on the head—this can be very tough work, particularly given the politically powerful interest that would love to see the Endangered Species Act weakened. And so our efforts to safeguard the Endangered Species Act really require a good team. I work with our congressional allies, partner organizations, other Earthjustice staff, and our activists to help defeat all these anti-Endangered Species Act bills and amendments. We are greatly aided in this work by being able to highlight that the overwhelming majority of American voters—90 percent of voters—still support the Endangered Species Act. And it’s also wonderful to be able to highlight the very strong economic and ecological benefits that species protections provide as we are working with Hill offices to try to beat back all these various bills and amendments that would undermine species protections. 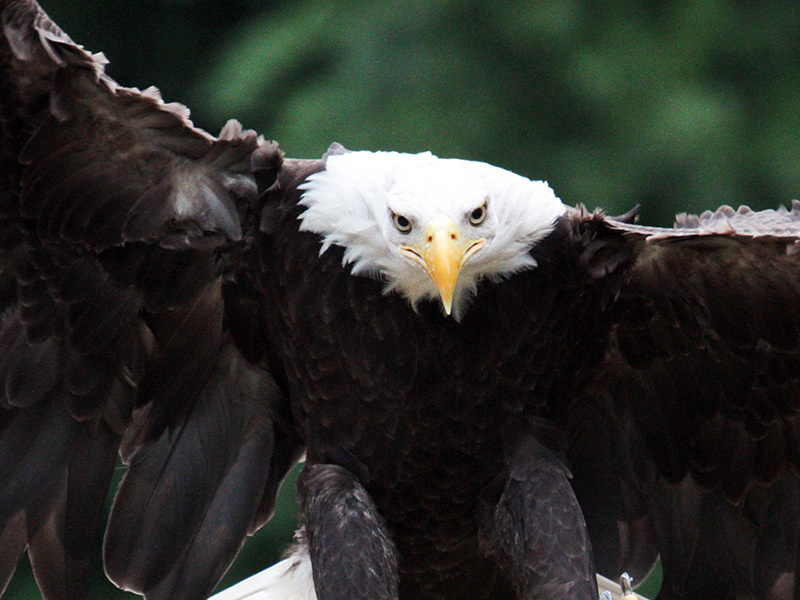 We have a variety of efforts underway to help safeguard the Endangered Species Act. What I really want to focus on in particular today is our work to protect wolves from legislative attacks in this Congress, and on our efforts to get ahead of anti-wolf legislation that began late last year when—thanks to Tim and our Earthjustice Northern Rockies team—we had a tremendous court victory to reinstate federal protections for wolves in Wyoming. Just two months later, another federal judge reinstated federal Endangered Species Act protections for wolves in three upper Midwest states: Michigan, Minnesota and Wisconsin. In response to those two court decisions, the Wyoming congressional delegation and certain members of the Midwest delegation began working together to try to seek a legislative override to these two court decisions—and to therefore strip protections for wolves in Wyoming and in the Midwest. 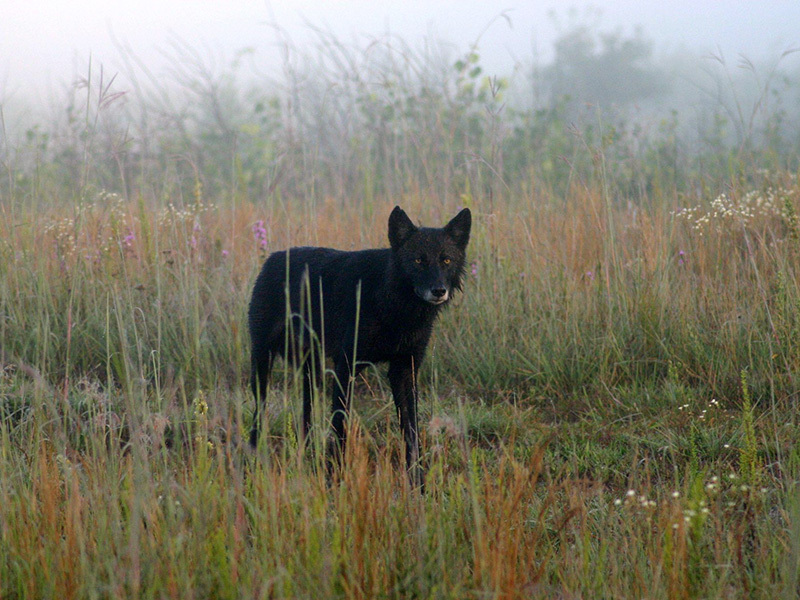 A wolf in Necedah National Wildlife Refuge, Wisconsin, January 12, 2012. In the Midwest, wolves are tough issue politically—as they are in other places—they're tough for legislators on both sides of the political aisle in that region. And so farming and other politically powerful interests in the Midwest have been calling for wolf delisting legislation ever since last year’s Midwest wolf court decision. We knew it would be important for Midwest congressional offices in particular to hear from pro-wolf constituents early on, to help stop the momentum for Wyoming and Midwest wolf delisting bills that were introduced at the start of this year. We did that in a few different ways, but in particular, we wanted to highlight that we weighed in with Midwest congressional offices by partnering with the Sierra Club and the Endangered Species Coalition to bring an array of Midwest constituents who care about wolves to D.C. to meet with their congressional offices and to ask those offices to oppose any wolf delisting legislation. We’ve also been working with Earthjustice activists to oppose anti-wolf legislation right from the get-go in this Congress. Thanks to e-mails, letters and calls from our activists and our partner organizations, congressional offices representing states all across the country have received thousands of pro-wolf messages from constituents. 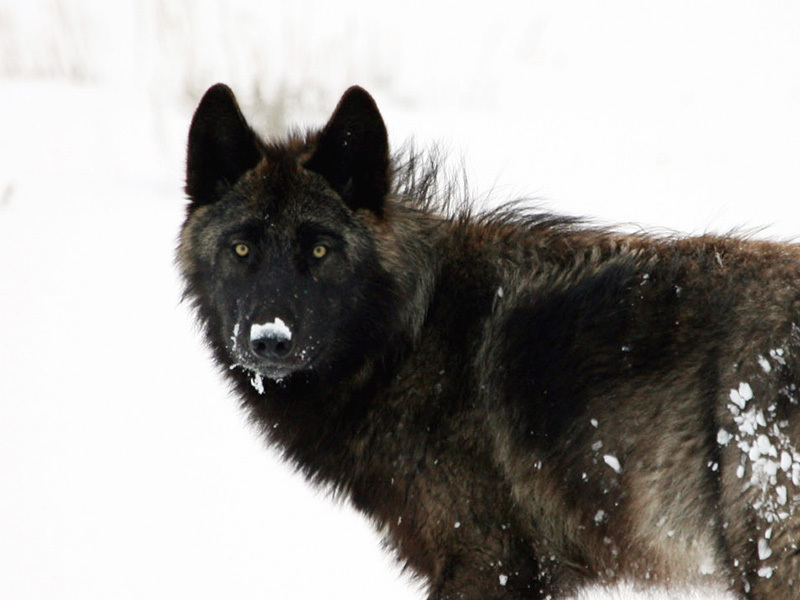 All these efforts have been a big help in combating wolf delisting bills. Unfortunately, in addition to standalone wolf legislation, we now face another legislative threat to wolves. Anti-wolf members of Congress slipped a policy rider to remove federal protections for wolves in Wyoming and in the Midwest into both House and Senate spending bills for the government’s upcoming fiscal year. These same spending bills also include a record number of other anti-Endangered Species Act riders that target a variety of other imperiled species. We are working very hard to prevent that wolf delisting rider and all the other anti-Endangered Species Act riders for being included in the final spending legislation for the upcoming fiscal year. We are doing that by working with our congressional allies and our partner groups to call on President Obama and key members of the House and Senate to stand strong in flatly rejecting all these anti-Endangered Species Act riders. We are generating congressional letters and other outreach materials with that ask, and we are working to make sure that the media and the public are aware of the grave threats to endangered species that these riders pose, so that they can join the chorus of voices opposing these riders. Minna: What are the channels through which members of the public can reach out and help defend against these endangered species attacks that are happening on the Hill? Marjorie: First off, it is incredibly important and helpful for you to reach out to your members of Congress now to protect the Endangered Species Act. And you can do that in a couple of different ways. You can go to our website at earthjustice.org/esa. We have a letter campaign there to help you reach out to your members of Congress to oppose attacks on the Act, as well as all of the other anti-Endangered Species Act riders and bills that we are currently battling. And we really encourage you to include in your letters some personal comments on why the Endangered Species Act is important to you. And if you've had the opportunity to experience any of the species of the Endangered Species Act has saved, we encourage you to share what that meant to you in your letters to your members of Congress. And for those of you on social media, you can also join in our efforts to fight attacks on the Endangered Species Act—particularly these latest policy riders on spending bills—by asking President Obama to #VetoExtinction, just as Earthjustice and our partner groups have been doing all late this summer and as we will continue to do into the fall. Now, I’ll turn to some wolf-specific actions that would be great for you all to take as well. On our website at earthjustice.org/howl, you’ll find more information about our wolf campaign to celebrate and protect wolves. For hundreds of years there has been this negative mythology about wolves, with storytellers portraying the wolf is the bad guy. And those portrayals have made it easier for people to look the other way as wolves are shot down and as they are removed from the endangered species list.The aim of this campaign is to get people talking about why wolves are important—not just biologically, but also culturally. Another great item, thanks to our amazing Earthjustice communications team is a new animated short film called “The Fable of the Wolf.” This film celebrates wolves and is also available on our website at earthjustice.org/howl. It’s a two minute film that aims to challenge people to dispose their misconceptions about wolves. It offers an abbreviated history of the relationship between wolves and humans, beginning in prehistoric times when the two species coexisted, leading up through the period of U.S. government sanctioned wolf extermination, and ending with the wolves' triumphant return to the Northern Rockies mountains. This film is meant to be a parable, but it is backed up in science and history. Please check out this great video, and share it with your friends as well. Also at earthjustice/howl, you’ll see we are partnering with the Creative Action Network, a global community of artists and designers who create art for progressive causes. The Join The Pack art campaign is meant to be a playful ode to wolves. It gives artists the opportunity to portray wolves in a positive light, highlighting the wildness, mystique and impact on popular culture that wolves have. So, please check out all the great artwork at the Join The Pack campaign—and maybe consider submitting your own to help us portray wolves in a positive way. And finally, I’d like to mention that your support as an Earthjustice donor is incredibly important. With your support, we are able to keep fighting these tough battles for endangered species on multiple fronts—in the courtrooms, on a Capitol Hill, for as long as it takes. Thank you so very much for your financial support. Minna: I would like to add my appreciation to the donors. I had the opportunity to meet Earthjustice donors and wolf activists at a recent event, and it was incredible to meet so many people who care about these issues. Marjorie, you had earlier referenced the Sierra Club partnership in the Midwest. Could you talk a little bit more about partnerships and coordination with other organizations? And then, Tim, if you could chime in terms of partnerships on the legal front. Marjorie: That is a great question and a really important one—in the face of immense political opposition to protecting the Endangered Species Act, it really does take coordinated coalition efforts. I work a lot with my counterparts at other environmental nonprofit groups in meetings with congressional offices and to do outreach with federal wildlife agencies about their proposals to interpret and implement the Endangered Species Act. There really is strength in numbers. As we face bills and amendments that are introduced, we’ll often work together on materials like coalition sign-on letters. We have a few different ways that we organize, with weekly conference calls and the like, and with a standing structure to respond as different threats arise in Congress. And the other thing I would mention about partnering is how wonderful it is to be able to partner with diverse groups—whether it’s a fishing communities helping combat attacks on Endangered Species Act protections for salmon runs on the West Coast, or working with tribal organizations to help protect grizzly bears. Our partnerships with many different types of groups strengthens our overall effort. Tim: The most fundamental partnership we have with other groups is that we represent them in court as their attorney. We are fundamentally a legal advocacy organization, and we are here because the earth needs a good lawyer—and wolves certainly need a good lawyer. In every action we take in court on behalf of wolves, or in any of the cases we file, we’re representing someone else. We don’t represent ourselves. These are some of the greatest environmental laws in the world—but they are only as good as their enforcement. Otherwise they are just words on paper. In our wolf work in the Northern Rockies, the closest partners have been a number of conservation groups that are committed to these issues: Defenders of Wildlife, Center for Biological Diversity, Sierra Club, and Natural Resources Defense Council. We’ve stood up on their behalf in court, time and time again—and ultimately on behalf of the wolves—to ensure enforcement of the Endangered Species Act and other environmental laws. These are some of the greatest environmental laws in the world—but they are only as good as their enforcement. Otherwise they are just words on paper. Our most fundamental partnership is that we provide the legal advocacy to these organizations and allow them to achieve court victories that really change the playing field in terms of the political and policy landscape for the protection of wolves and other wildlife and wild places. We are always working in partnership with other groups in that capacity—that’s the core of our identity. Our most fundamental partnership is that we provide legal advocacy to organizations and allow them to achieve court victories that change the playing field in terms of the political and policy landscape for the protection of wildlife and wild places. Minna: Tim, could you continue on those themes and share insight into how we chose our cases? What makes us decide to take one case over another, particularly with respect to a particular species in an area? Tim: Part of the template comes from what our purpose really is here. I'm specifically speaking about the Northern Rockies region, where I work. The reason that Earthjustice has an office in the Northern Rockies region is because it is the last great open space for wildlife and wilderness in the lower-48 states. 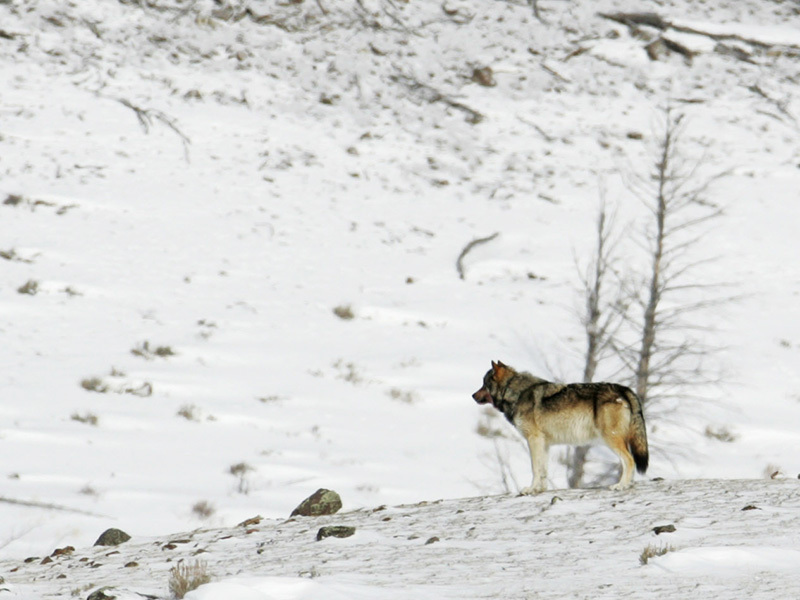 A wolf near Blacktail Pond in Yellowstone National Park, February 16, 2006. 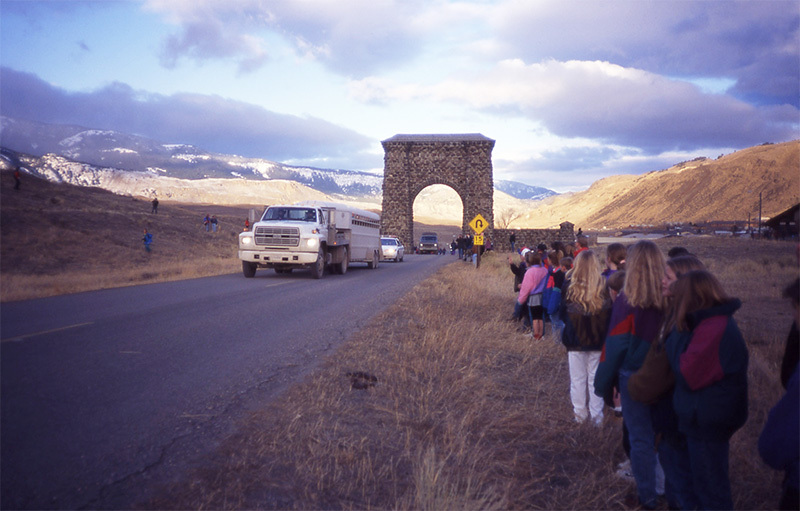 The complex of public lands that belong to all of us, centered in Yellowstone National Park, including the surrounding national forests. And farther to the north, another complex surrounds Glacier National Park. And then there are the great central Idaho wilderness areas, which are some of the largest federal land wilderness complexes in the country. Those are the last big wild spaces in the lower-48. If you look at a map of the lower-48, it shows where every road is. And roads are a pretty good surrogate for human impact and the human footprint. The last big "white spaces," those big roadless spaces on the map, are in the Northern Rockies. And so our whole purpose for being here is to protect and maintain that resource of wilderness, wildlife, clean water, clean air. It's a memory of what rest of the continent once looked like—and it's a vision and an opportunity of what can exist elsewhere, if we really work hard to restore environmental processes. For us, the protection of wolves has always been a central element of the whole reason we are here. Our portfolio in this region focuses on preserving the element of wildness—and at the top of the heap is wolves, because they are so central to not only the biological processes of these places, but also the way our society reacts to them. 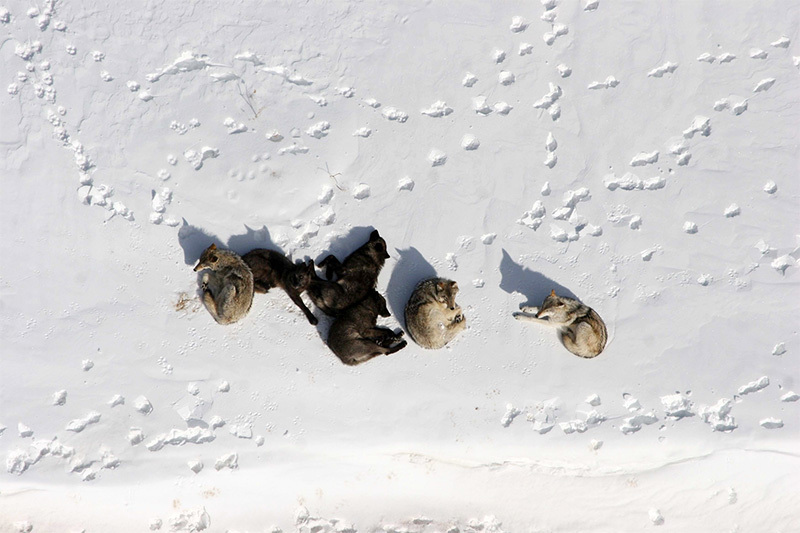 A landscape with wolves is very inspiring to many people who care about these issues—and it’s inspiring to us. 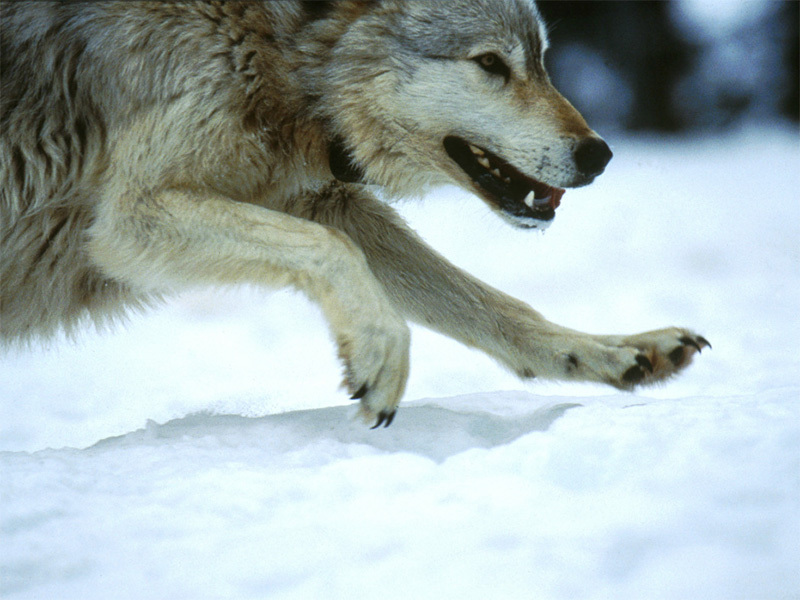 Protection of wolves naturally flows to the top of the list in terms of taking on cases. That said, we always are working with our partners to be as strategic as possible to make sure our cases have as much impact as possible—to ensure that our cases are as intelligently crafted as possible so that they can avoid any pitfalls along the way that sometimes happen. We always pass every case through a litmus test like that. But when it comes to something like wolf protection—that’s why we are here. We stand up for wolves and we stand up for wild places, because there are always forces that are out to diminish what we have here in the Northern Rockies, whether it would be for short-term economic gain, whether it be because of outdated attitudes and mythologies. The nation’s heritage of wildness in this region is always under siege. And we are the tip of the spear in turning back those kind of attacks. We stand up for wolves and we stand up for wild places, because there are always forces that are out to diminish what we have here in the Northern Rockies. Minna: That is great insight into how we choose from the seemingly infinite number of potential cases and attacks that are in front of us. One of the big questions looming is what may result if wolves are delisted, and what would Earthjustice do if the Endangered Species Act is significantly weakened? Marjorie: On the point about ‘what if wolves were to be delisted’ [from the Endangered Species Act]—first off, we are fighting like hell to make sure that that doesn’t happen. And as I mentioned, there a lot of great ways that you can help us in those efforts. 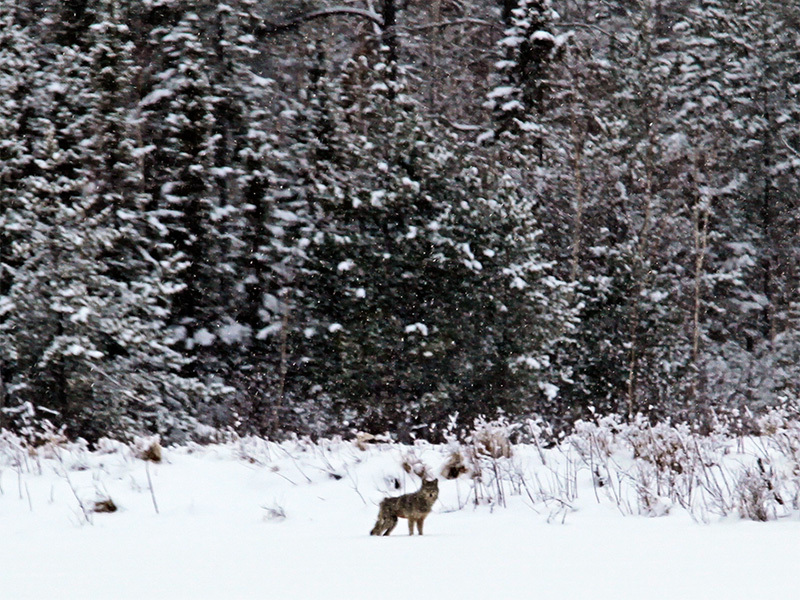 A wolf faces a snowstorm in Seney National Wildlife Refuge, Michigan, January 2011. The primary threat right now is the wolf delisting rider that would take away federal protections for wolves in Wyoming and in the Midwest. In addition to overriding those two important court decisions, that rider contains a really troubling piece, which is that it precludes any further judicial review of those court decisions—essentially the delisting of wolves in those four states at issue. There is a lot of stake here as we fight this rider, because if it were to actually become law, our hands would be tied. Tim can speak more to this, but in terms of any further court challenge, it really would tie the hands of citizens and groups such as ours to help go to court to fight for wolves in those states. A lot of these states are carrying out more and more extreme wolf management policies. We really want to avoid an outcome where wolves are subjected to brutal state management plans that we have little ability to stop. So we will keep fighting like hell. And we need your help to do that. If this wolf rider goes through, we’ll have another challenge in our hands, which is a proposal by the U.S. Fish and Wildlife Service, which first came out in 2013. It's a proposal that would remove all remaining federal protections for wolves across most all of the lower-48 states. That proposal is not finalized, as it seems the Fish and Wildlife Service hit a glitch because of Earthjustice’s Wyoming wolf court victory and the Midwest court victory. 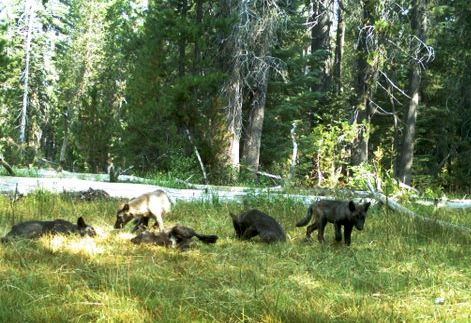 Wolf pups of the newly-established Shasta Pack, in Siskiyou County, California. If the delegations from Wyoming and the Midwest are successful with their legislative “fix,” so to speak, to override these important court victories for wolves, it seems the Fish and Wildlife Services at that point would feel a lot more emboldened to move forward with trying to remove all remaining federal protections in the lower-48 states, except for a small population of Mexican wolves in the Southwest. That would include removing protections for the new pack that’s just been—wonderfully—established in California, and for wolves in other parts of the country where they are just beginning to get a toehold. They would all lose federal protections. We will continue to fight to make sure that this wolf rider doesn’t go through. The public needs to weigh in now, and let their representatives know that they won’t stand by and watch Congress proceed in this kind of sneaky manner to undermine one of our bedrock environmental laws. Tim: I echo what Marjorie said, that it’s important for people who care about these issues to speak up. And one of the things that jumps out to me from what Marjorie said, is that our adversaries know they cannot win a fight that occurs before the full Congress, with hearings and opportunities for the American people to engage. That’s why they work surreptitiously to avoid that process, by flipping some midnight measures into appropriations that must pass Congress in order to keep the federal government running. And so there is not going to come an opportunity for a congressional hearing on this, in terms of an opportunity for people to weigh in then. The public needs to weigh in now, and let their representatives know that they won’t stand by and watch Congress proceed in this kind of sneaky manner to undermine one of our bedrock environmental laws. In terms of what we would do if that would happen—we would be resourceful, and we would be creative. We would use the tools that are available to us, albeit much diminished if the Endangered Species Act protections were removed. I’ll give you one example. In Idaho, where Congress did remove wolf protections under the Endangered Species Act in 2011 in what was really ‘the camel’s nose under the tent.’—that was a really troubling precedent. The State of Idaho with its wildlife management authority set out to march into the Frank Church-River of No Return of Wilderness—public lands that are owned by you and I, and are supposed to be managed as a wild place for future generations—and sent a trapper into the wilderness to kill 60 percent of the wolf population, in an effort to reduce wolf depredation on elk herds, in order to inflate elk numbers for the benefit of some commercial elk hunting outfitters that operate in the Frank Church-River of No Return Wilderness. We did not have the Endangered Species Act to use to combat that threat. So we went to court under the Wilderness Act. And we said a wilderness, by law, is supposed to be a place where, as Congress said, “the earth and its community of life are untrammeled by man.” And for Idaho to go in and attempt to fundamentally alter the predator-prey dynamic was just antithetical to wilderness. Through our litigation, we were able to shut down that program. So there are opportunities, and we will be creative and resourceful. And we will continue to stand up for wolves. But the tool chest would be much diminished if Endangered Species Act protections are removed. Minna: Aside from wolves, there are other species often in the news. The Obama administration announced Tuesday that they would try to protect the greater sage grouse without listing it as endangered. This has been a very controversial decision, with lots of groups on both sides. Marjorie and Tim, could you deconstruct for us what’s really happening here and give us an insider’s view about why this has been such a controversial decision? 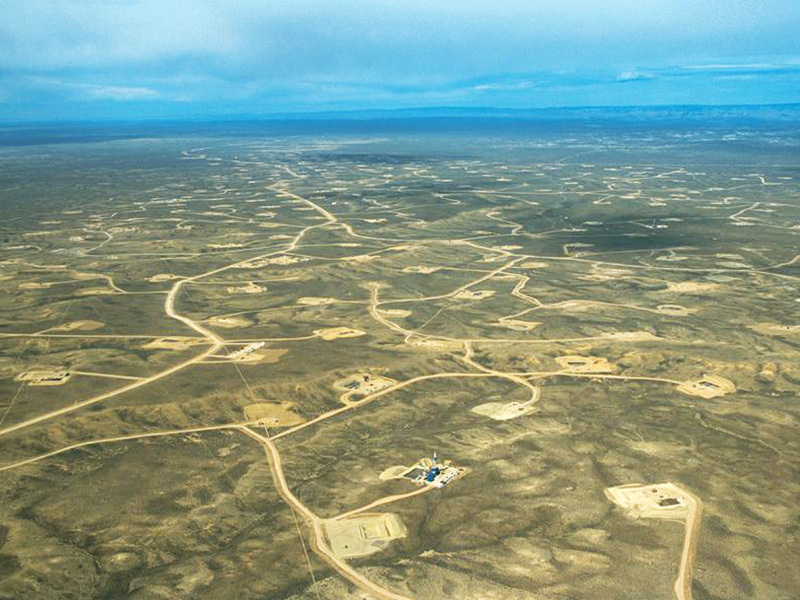 An aerial view of the Upper Green River Valley of Wyoming shows the vast network of roads and well pads that make up a portion of the Jonah natural gas field. Tim: Sage grouse are the canary in the coal mine on a range of things that are happening on—your and my—public lands in the West. First and foremost, there is an energy boom. Hydraulic fracturing, which a lot of people have heard about, is widespread on many public lands and in states like North Dakota and Wyoming. And it’s fundamentally altering the landscape. What formerly were wide open spaces of the American West, are now heavily roaded, pock-marked industrial sites of gas fields. Certainly, there is an economic benefit associated with that. There is also a climate change cost to pay. And, as the sage grouse shows, there is also an ecological cost to pay. Biological communities have been disrupted, critical habitats for wildlife species have been fragmented. And sage grouse is the measuring stick, which shows us the degree to which we have disrupted the landscape. Livestock grazing is another activity that heavily impacts sage grouse. Many of our western public lands—most of our western public lands—are open to livestock grazing under a heavily federally subsidized permit system that allows ranchers to graze their livestock on public lands for a tiny fee—and with all kinds of ecological costs, including disruption to sage grouse habitat. 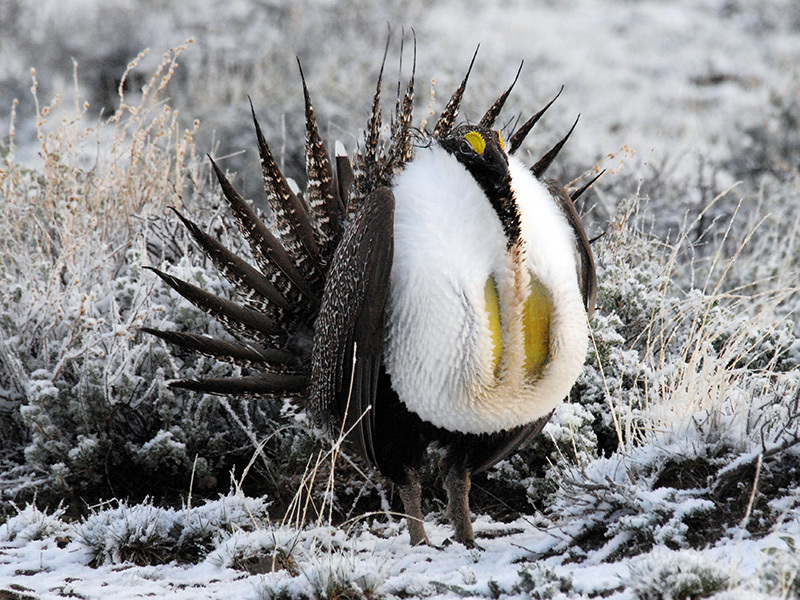 In the face of that, and with the prospect of an Endangered Species Act listing looming, the states set out to create plans to conserve the sage grouse and in an effort to ward off federal government listing of the species. What the Obama administration announced early this week was that the U.S. Fish and Wildlife Service, which is the agency that is in charge of preserving our nation’s wildlife on land (there is a different agency [the National Marine Fisheries Service] that works in the oceans) found that those plans were sufficient to prevent Endangered Species Act regulation to preserve the sage grouse. That’s a highly controversial finding because there are a number of prominent scientist in the field who say that the sage grouse plan, did not go far enough to really ensure a secure future for this species. And I am sure those fights will play out. But it is also fair to say that the states have come quite a bit further than I think of many people originally thought that they would in terms of setting out new protections for the sage grouse. And the lines of the debate will be drawn as to whether the science supports a decision that those state plans actually have gone far enough. Marjorie: In the lead up to the Endangered Species Act listing decision on sage grouse there had been a lot of political controversy, and it’s resulted in some early congressional blowback to the idea of sage grouse being listed under the Endangered Species Act. Over the past couple of Congresses, in addition to gray wolves, sage grouse has been another species that has been firmly in the sights of a lot of anti-Endangered Species Act members of Congress. I mentioned there was 2011 wolf delisting rider that was included in the spending bill. That was really the first time that Congress had acted to legislatively delist and legislatively interfere with the protection of a particular species. And we have now had, unfortunately, a second successful attack on individual species protections, and that was on sage grouse protections. Last December, the government passed an omnibus spending bill and included in that was a very damaging sage grouse-focused rider. 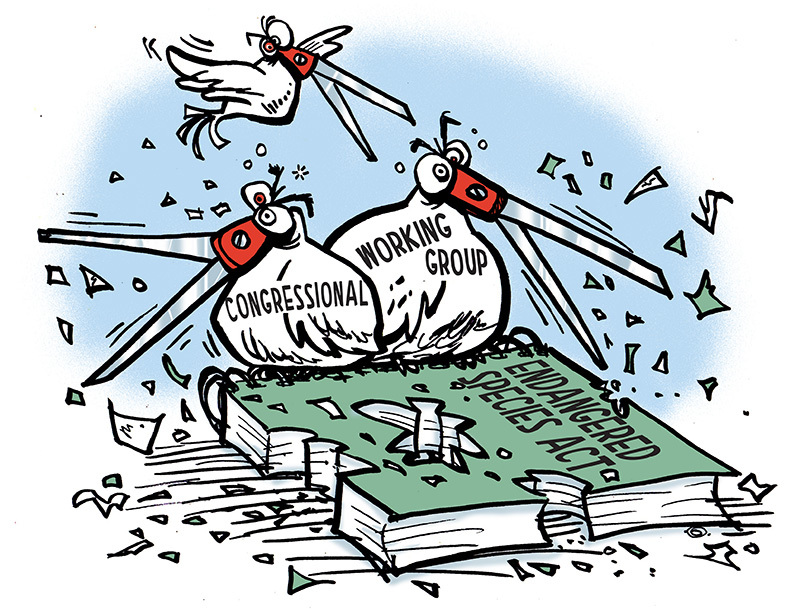 And even with that spending rider from last December, the anti-sage grouse listing folks have not been fully satisfied, apparently, because now we have continued appropriations riders on both the House and Senate spending bills, including sage grouse-targeted riders, just as they have the Wyoming and Midwest wolf riders. And we actually have a sage grouse rider in play on the National Defense Authorization Act. So this is an issue that’s getting about a lot here in D.C.; there have been quite a few efforts to take a run at a legislative “fix”, so to speak, for ensuring that the species will never be protected under the Endangered Species Act. Minna: We have a question from Evelyn in Texas on how we’ve started to see grassroots organizations focused on climate change issues, now moving up from local actions to having a presence in D.C.. Evelyn asks whether you see similar trends happening on endangered species issues. Marjorie: This is a very good question. The local and D.C. interplay factors in a huge way on endangered species issues. It really matters a lot to congressional offices, as you can imagine, not just what they are hearing from advocates here in D.C., but what their folks back in their districts and states are saying. I would say we have a good presence of D.C. advocates here working on the Endangered Species Act—and given the political sway of our opponents, we could only use more D.C. presence, for sure. So if anything, we’re working to identify more folks and more groups who can really help partner with us with in-district congressional meetings and local outreach to decision-makers in the states and districts—helping place op-eds and editorials in local newspapers. These are things that really make a big difference in terms of helping beat back these congressional threats to the Endangered Species Act, here in D.C.
Tim: One of the things we’ve seen in terms of grassroots that’s been very inspiring and rewarding here in the Northern Rockies is that there are a lot of people who travel to this region to see wild wolves. There are many people who plan their whole year around a trip to the Lamar Valley at Yellowstone National Park in order to see wolves in a wild place, interacting with other species. Wolf watching in this region has become a $35 million a year input to the local economy. We've seen recently that the people who depend on that economic activity start to speak up for wolves. 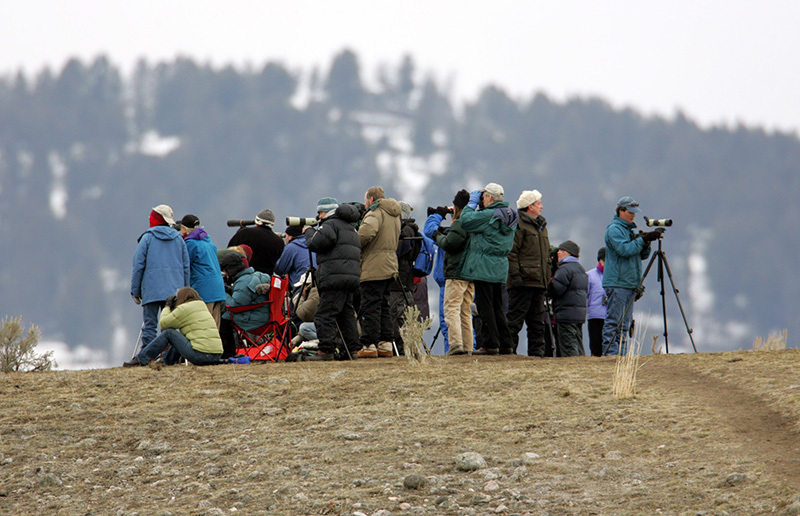 Not only have the wolf watchers themselves organized in groups (for instance, Wolves of the Rockies, National Wolfwatcher Coalition, and Living with Wolves), but also some of the companies that cater to visitors and wolf watchers have spoken up to modify some of the worst excesses of state wolf management. 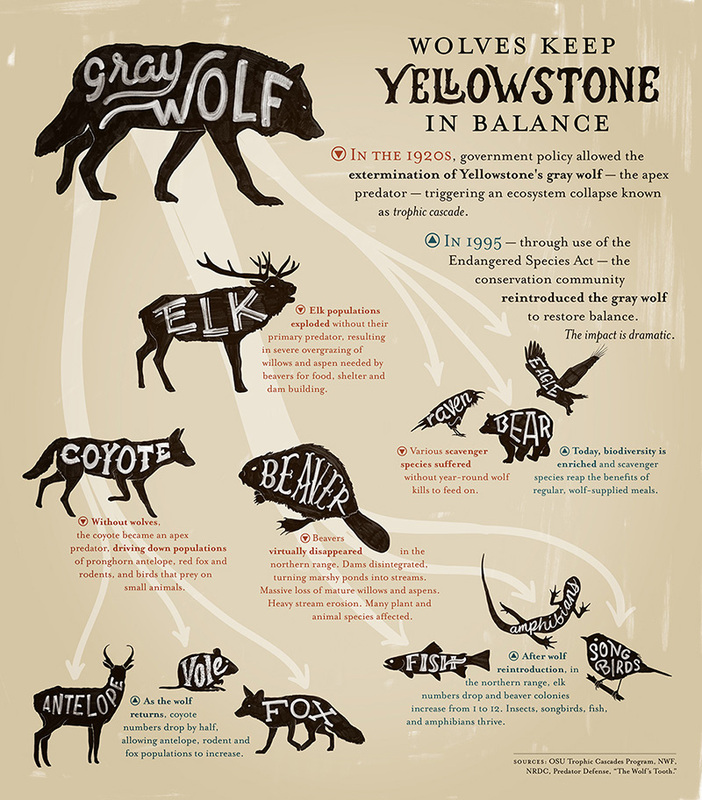 And we’ve seen in the State of Montana, our state Fish and Wildlife Commission respond to the concerns of some of those people, among other reasons, in reducing the amount of hunting of wolves that’s allowed outside Yellowstone Park in Montana. Marjorie: One more thing on wolves in particular is that some of our strongest partnerships are with wolf organizations all across the country. We have been really aided in lot of the efforts to combat wolf delisting legislation by regional and local wolves groups. We have had incredible grassroots support all across the country. What we are looking for here is your take on what’s really at play in terms these sneak attacks that are happening in the dead of night in Congress—are they fueled by special interest and lobbying, or is there an actual budget process that is actually being followed in some type of orderly way? Marjorie: It is a very good question. These sorts of topics do come up quite a bit in D.C. The budget issue is an interesting one, because what we have been seeing over the past number of years is a bleeding-dry of the federal wildlife agencies that have been charged with implementing the Endangered Species Act. There have been a lot of criticism of the Endangered Species Act by some members of Congress. A lot of those folks claim that the Act is not working and that it needs reforms. What’s interesting is those are a lot of the exact same members who have been voting to drastically reduce budgets for the Fish and Wildlife Service and other agencies important in carrying out our wildlife protection laws. So in my mind, it really is more about special interests and some members of Congress doing the bidding of corporate backers. Yes, we face budgetary constraints all across sectors of the government. But we have been seeing some disproportionate reductions in Endangered Species Act-related budgets. That’s one of the issues that we and our partner groups have been working to fight against. Tim: This goes back to the issue that our adversaries cannot win an open fight against us because the public is massively on our side—to the tune of 90 percent in support of protection of endangered species. And so they attempt to stage attacks by other means. We’ve talked about the surreptitious riders slipped into budget bills. The other thing is that the draining of the treasury of wildlife management agencies. They try to cut funding for the U.S. Fish and Wildlife Service to bleed it dry of funds. Because they know they can't attack the Endangered Species Act head on, they try to cripple the administration of it by robbing the treasury of the federal agencies that are supposed to be enforcing the Act. That is another reason why it’s so important to have an organization like ours that will step up to enforce the Endangered Species Act when the federal agencies fail to do so. It’s important to note that the federal government does not bring Endangered Species Act enforcement actions in federal court. I cannot ever remember seeing a situation where the United States government fought to enforce the Endangered Species Act. At this point in time, the only entities that are out there enforcing the Endangered Species Act are concerned members of the public, represented by groups such as ours, who provide legal services at no cost to make it possible. Otherwise, the Act would not be enforced. Because the federal government does not have the resource and frequently lacks the political will to do it. At this point in time, the only entities that are out there enforcing the Endangered Species Act are concerned members of the public, represented by groups such as ours, who provide legal services at no cost to make it possible. Otherwise, the Act would not be enforced. Minna: Thank you both, Marjorie and Tim, for giving us such a thoughtful insights and remarks into what’s happening with the Endangered Species Act in Congress ,and in connection to wolves. And thank you all so much for supporting Earthjustice in the work that we do. We cannot do what we do without all of you. Conversation highlights have been edited for length and clarity. The Endangered Species Act was passed with overwhelming bipartisan support more than forty years ago to provide a legal safety net for wildlife and plant species in danger of extinction. The law has prevented 99% of species under its care from going extinct—an astonishing record of success. Part of the Policy & Legislation team in Washington, D.C. since 2011, Marjorie works with Congress and federal agencies to defend and strengthen the Endangered Species Act. Tim first joined Earthjustice in 2000. Today, he heads the Northern Rockies regional office and is the lead attorney on Earthjustice's suite of national forest protection cases, as well as on cases to block oil and gas leasing in the Wyoming Range and to slow the pace of gas development in the Upper Green River Valley. The Act has worked to successfully prevent the extinction of 99% of the species placed under its protection. A poll conducted this year found that the Endangered Species Act is supported by 90% of American voters. Yet, dozens of legislative proposals have been introduced in this Congress to weaken and even gut the Act, one of the most successful bipartisan pieces of legislation our country has ever adopted.